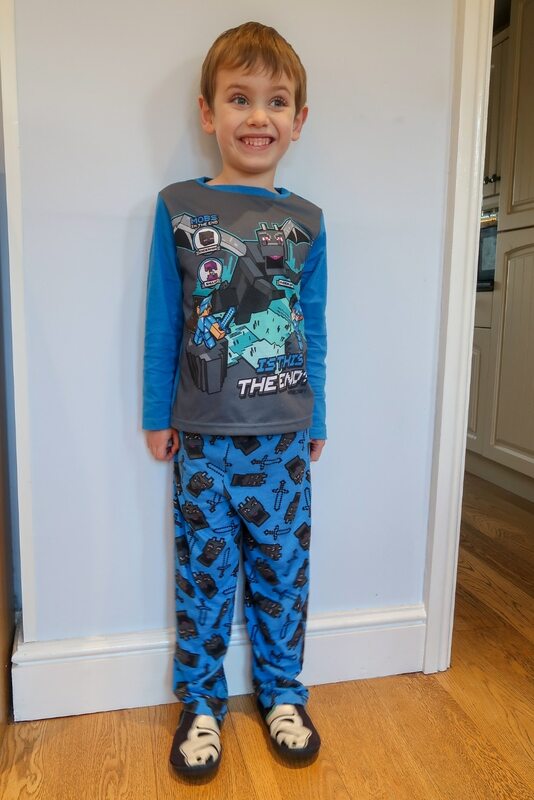 Last week, Biggest turned six. We often struggle to find things to get him at Christmas and on his birthday. He has never been a fan of conventional toys and sometimes struggles with motor skills, making some toys tricky. 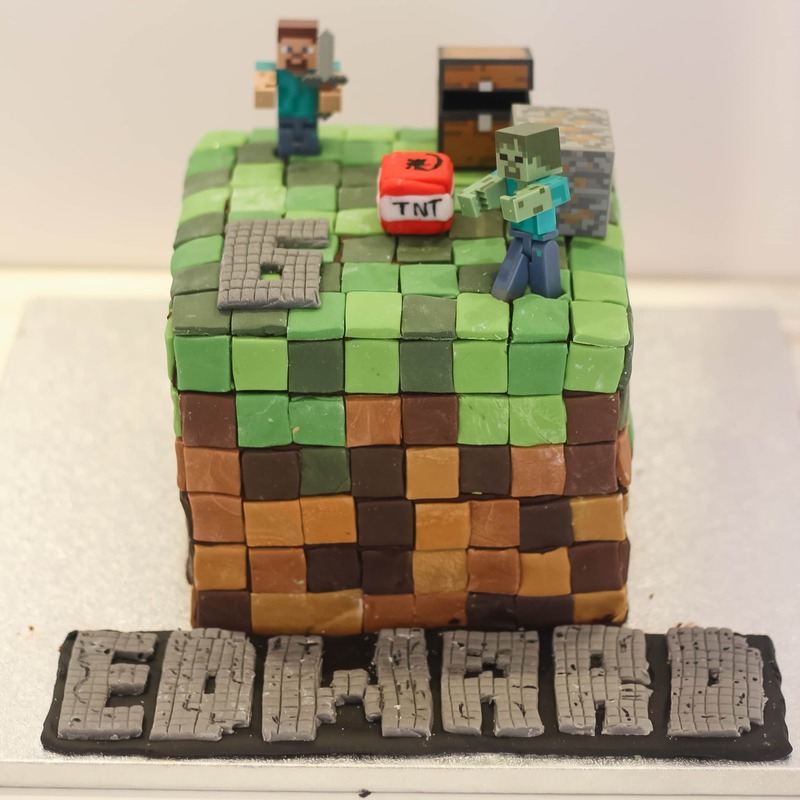 This year, however, he has such a passion for Minecraft, that it was much easier to find things he would love. 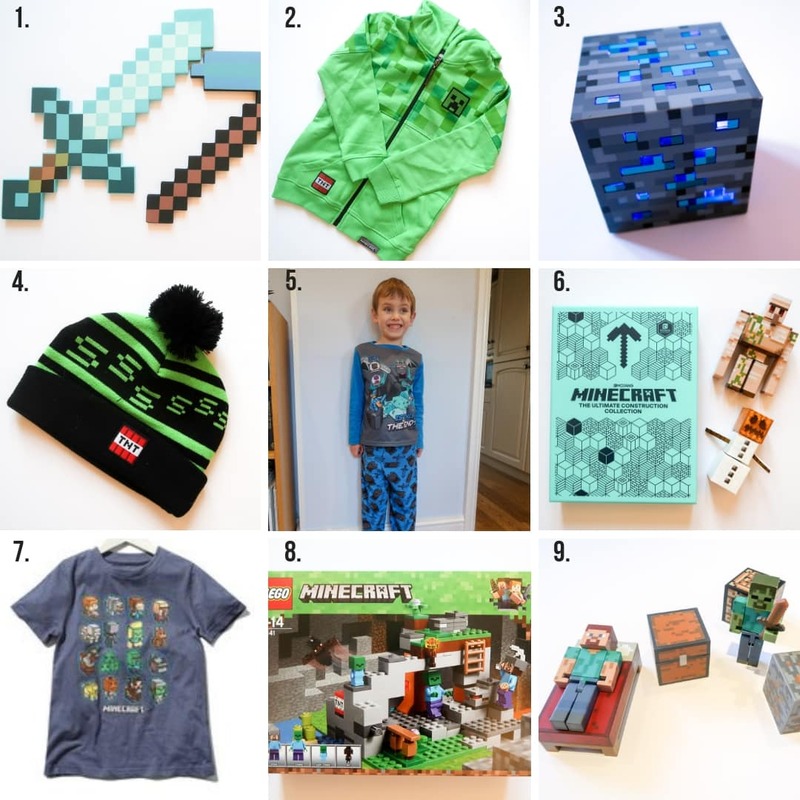 If there is a Minecraft fan in your household, they may love some of the things on this list for a birthday or Christmas. They have certainly been a huge hit with Biggest! 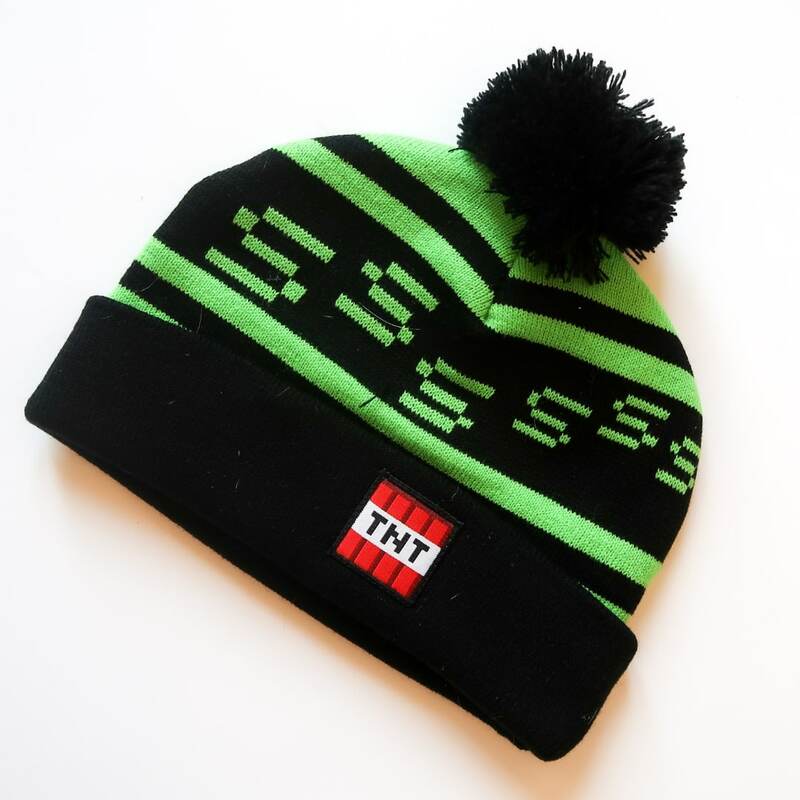 Read on to find out which Minecraft Gifts made our list. This hoodie is good quality and the branding on it is fairly subtle. 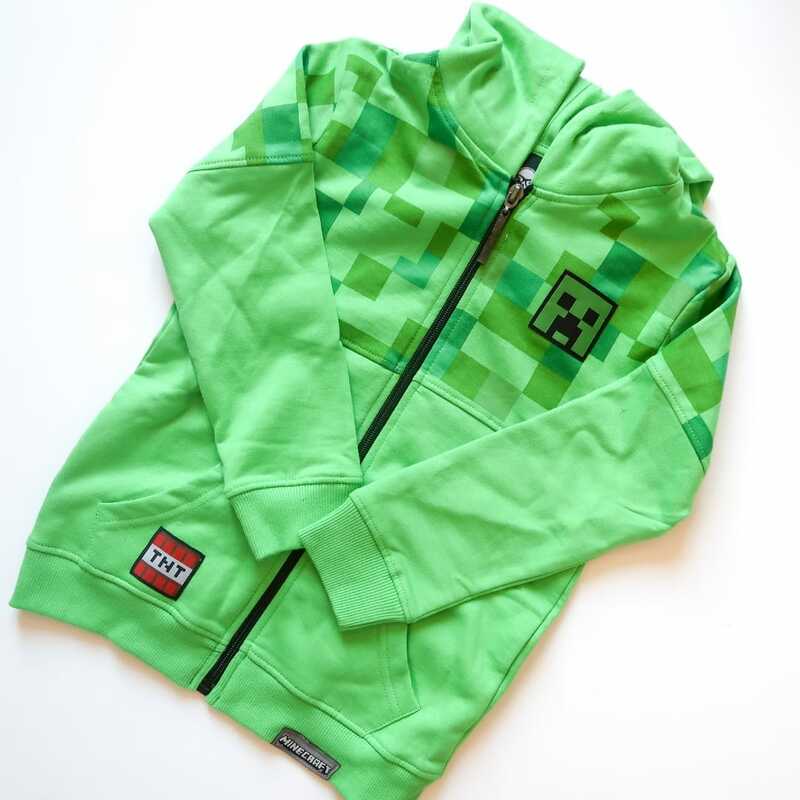 Being a Creeper Hoodie, it is also green, which is Biggest’s favourite colour. This means he will get good use of it all through autumn and winter. This little lamp was one of Biggest’s favourite Minecraft gifts. He loves lights and sensory toys and so this one brought two of his passions together. The block is about 10cm in diameter and takes AA batteries. 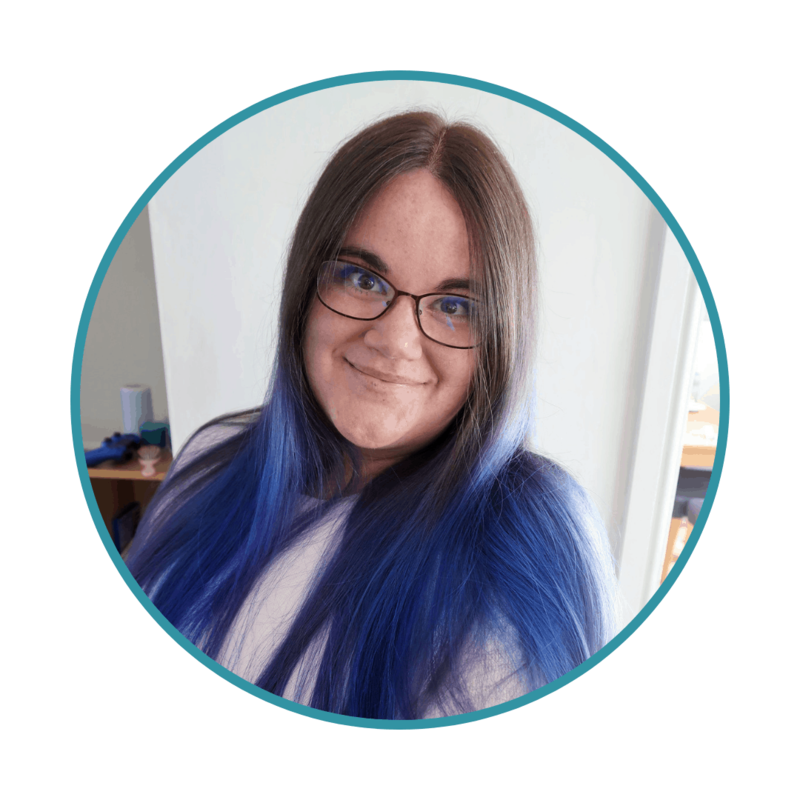 It lights up blue where the ‘diamond’ ore peeks through. 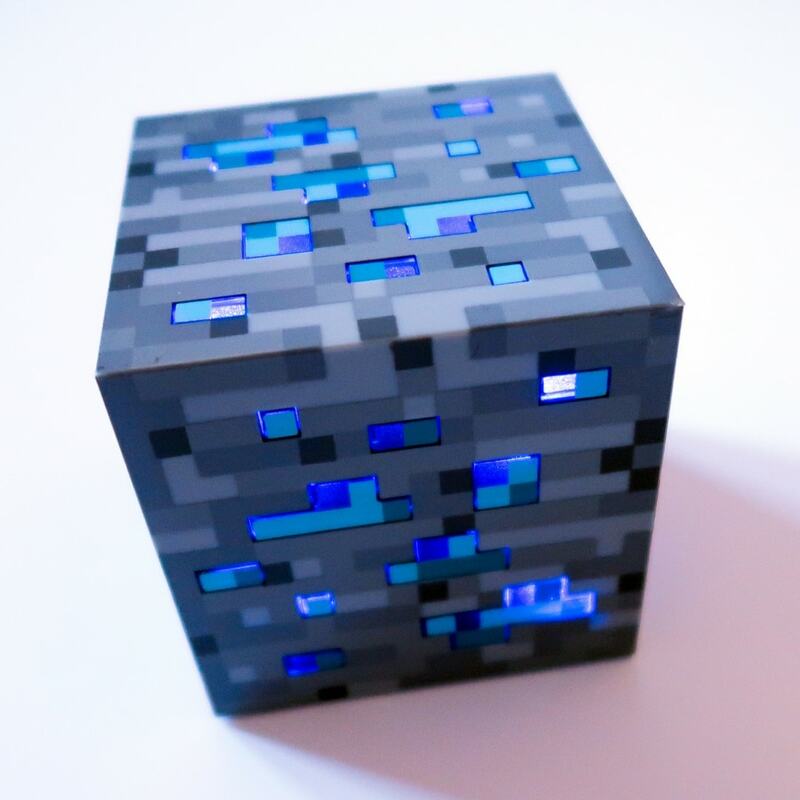 Biggest loves to look at this and have it in his room at night, but it also plays a part in Minecraft role-play, as he can pretend to mine it. I think this hat is for an adult. However, Biggest has quite a large head and it is not so big that it slips down – it just covered his head and ears nicely. It can be a real challenge to get him to wear hats and gloves in the winter, as he has some sensory issues. Hopefully this hat will get him enthusiastic about winter clothing! 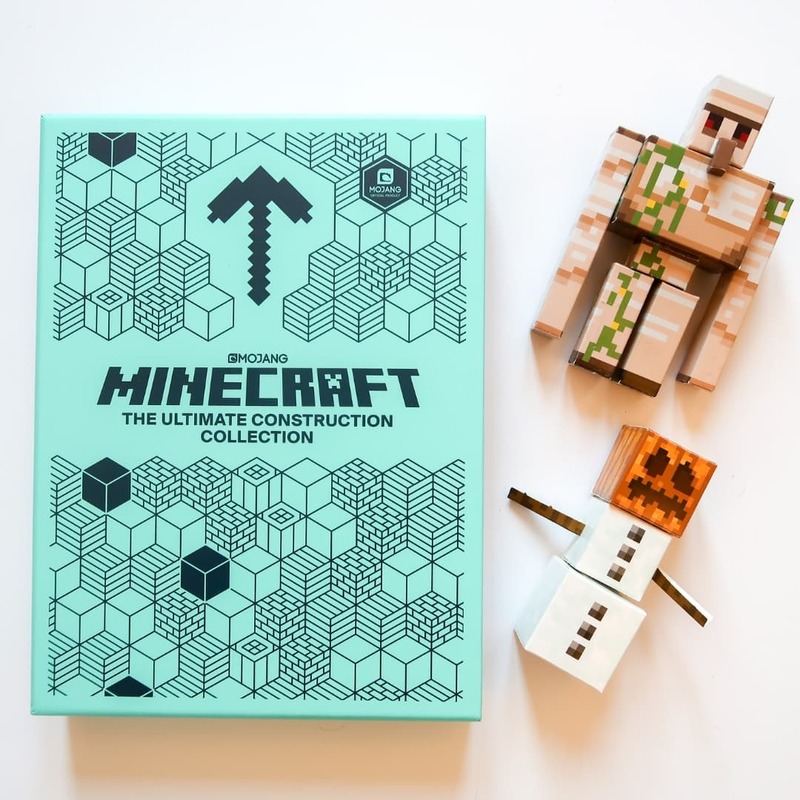 This gift set of books and models contains instructions for making loads of creative builds in Minecraft. You can build a medieval castle together, or your dream home! It also comes with cardboard models to construct – a snow golem and an iron golem. Biggest loved this as they are some of his favourite things to make in the game. This one is great value for money too, as it is currently on offer for around half-price in WH Smiths and Amazon. This T-Shirt was another one that Biggest chose himself. 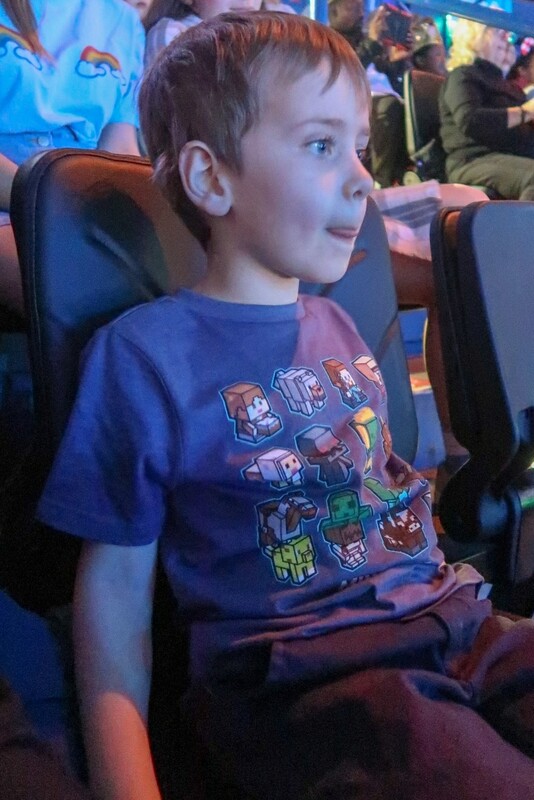 He wore it for his other birthday treat – a trip to Disney on Ice. Lego is pretty much a win for most children – there is just so much variety and so much creative fun to be had. We are keen to try to improve Biggest’s fine motor skills (something he struggles with) and this is his first set of smaller sized Lego. As Daddy is a huge fan of Lego too, they plan to build the two sets Biggest received together. 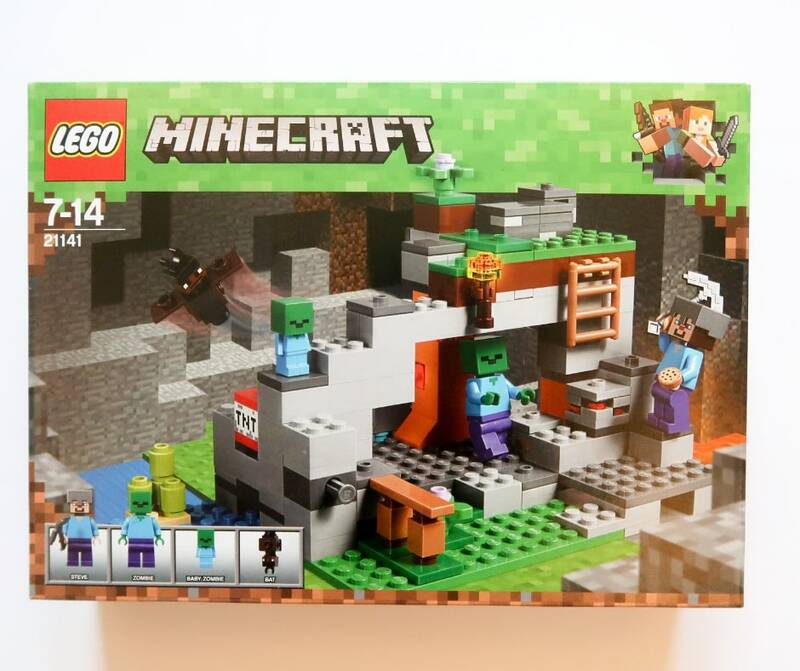 There are so many different sets to collect and they are reasonably priced, unlike some Lego! 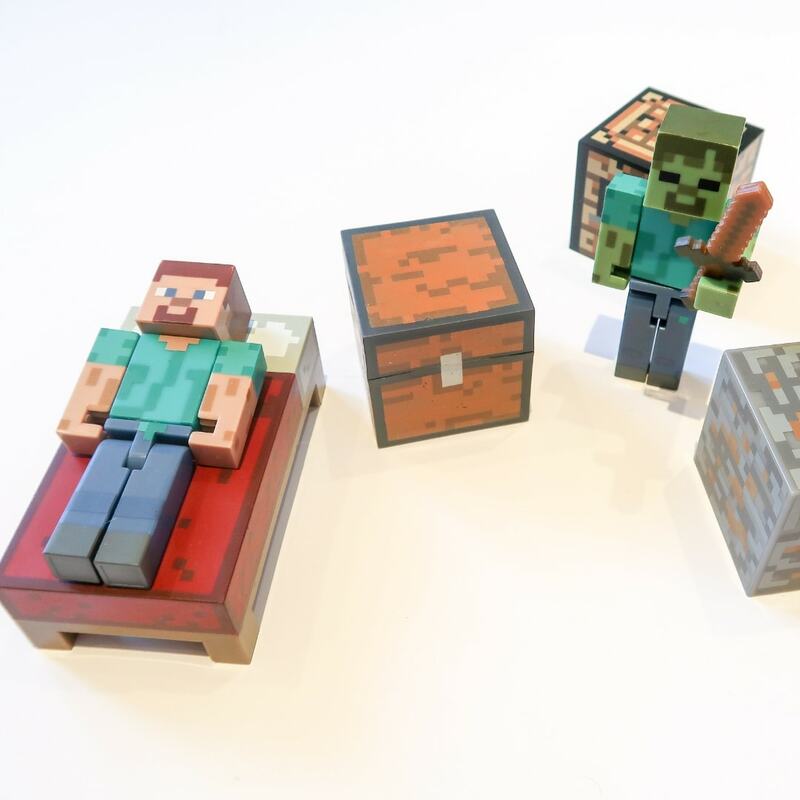 This figure pack was very reasonably priced and also came with a bed, blocks, a crafting table and tiny weapons. And there you have it. Those are the Minecraft gifts that Biggest received this year.I am sure he will get lots of pleasure and use out of them over the coming months? 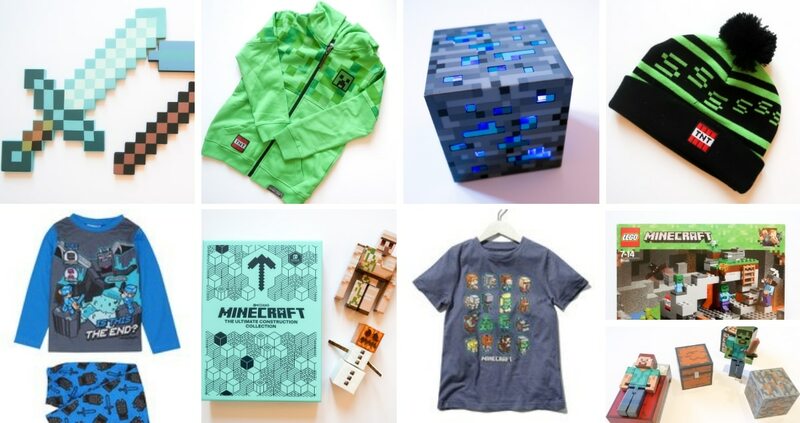 Do you have a little Minecraft fan who would love any of these Minecraft gifts? Simply click the links or pictures to find out prices and how to buy them. Who knew? Great ideas here for Christmas. Might ask for the block myself. We are huge Mine raft fans, Bear would love the sword and pick axe. In fact he would love it all! 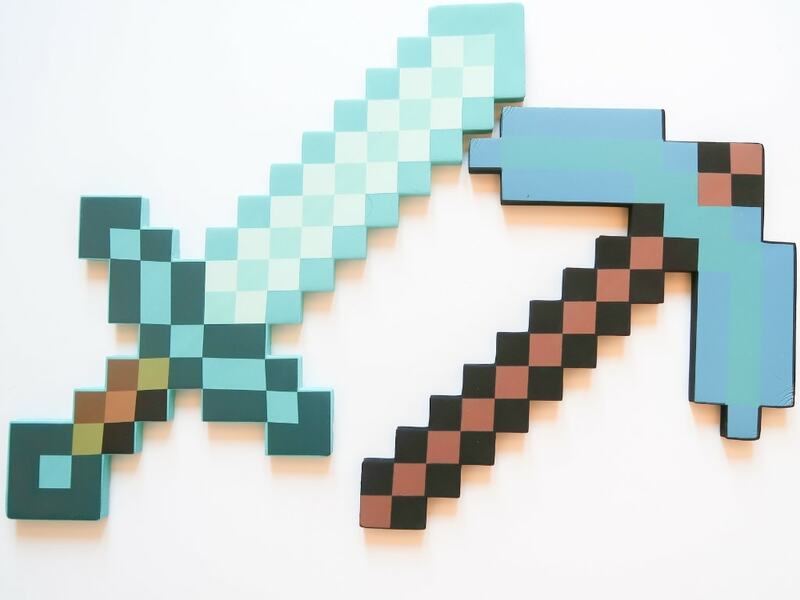 My girls love Minecraft and you have given me some great ideas for Christmas.